Which NHL players have underachieved and disappointed the most in the 2017/18 season? The 2017/18 NHL season has been full of surprises. Team’s like the Vegas Golden Knights and Boston Bruins are at the top of the standings meanwhile, players like Nathan MacKinnon has become of one the NHL’s top scorers. Amidst these intriguing stories, several players have had seasons they would like to forget. Let’s take a look at five NHL players that have disappointed and underachieved in 2017/18. To be fair the Arizona Coyotes had an abysmal start to the season, and many players struggled to recover from their slow start. This was the case for third-year forward Max Domi. Coming into 2017/18, many expected Domi to take another step forward. Unfortunately, like many of his teammates, he struggled to find the net and produce offensively this season. Through 74 games, the 23-year-old has only managed to score eight times. This is a huge drop-off for a player who scored an impressive 18 goals and 52 points in his rookie season. Considered as a high-end offensive player, Domi simply hasn’t been good enough this season. However, he is still young and has plenty of potential to bounce back next season. The Carolina Hurricanes acquired Scott Darling from the Chicago Blackhawks last spring and immediately signed to him to a four-year deal worth $16,600,000. They were hoping that the 29-year-old would become the team’s new number one goalie. Unfortunately, things haven’t worked out so far. Darling has struggled as a starter and is putting up a career-low in Goals-Against-Average (3.19) and save-percentage (0.885). His less than stellar play has warranted the Hurricanes to play Cam Ward more than they want to this season. Through 74 games, Ward has appeared in 39 and has pretty much split time with Darling in the crease. On the bright side, Darling is not that old at 29, and still has time to solidify himself as a number-one goalie in the NHL. The Hurricanes have plenty of cap space and have potential to drastically improve this offseason. All of this should help Darling and his attempt at having a strong bounce-back season in 2018/19. Brandon Saad was part of the blockbuster deal that sent Artemi Panarin to Columbus last summer. The Chicago Blackhawks brought Saad back in hopes of him continuing where he left off in 2015. He helped Chicago win their sixth Stanley Cup that year and was an unstoppable force with captain Jonathan Toews. Unfortunately, due to injuries and the departure of several key players the Blackhawks have struggled collectively as a team this season. Making Saad’s struggles even more apparent, is he is struggling statistically and having the worst season of his NHL career. Traditionally, Saad is a 20-goal, 50-point player but he is on pace to finish with only 34 points, which is a career-worst in points-per-game. He is still young at 25, so many fans shouldn't be too "Saad" about his production, as 2017/18 should be considered as an off-year for him. As the Blackhawks continue to deal with cap issues, they will need Saad to be one of their best players in 2018/19 otherwise they might fall further into the abyss and might have to consider a full rebuild. Jason Spezza has been a very productive player in the NHL for a very long time. Which makes it that much more unusual to see him fall off the face of the earth this season. The 34-year-old has put up a measly, seven goals and 25 points for the Dallas Stars through 72 games. He recently came off a 14-game pointless streak and is on pace to finish with the lowest points-per-game rate of his NHL career. 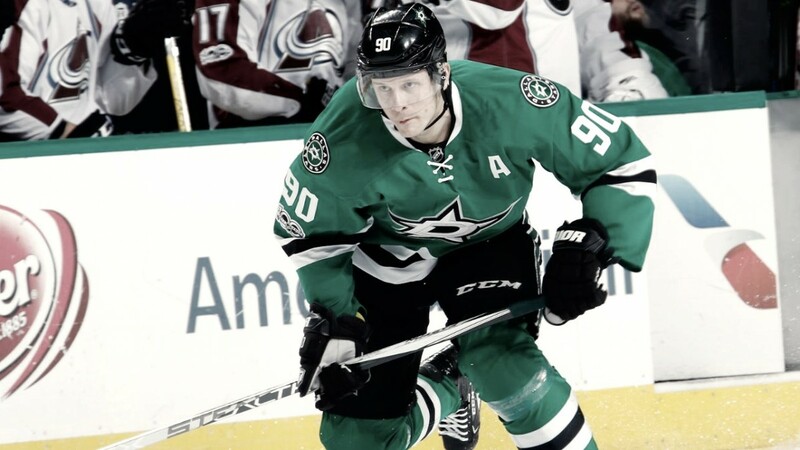 Spezza has also been demoted to the team’s third-line and hasn’t found a way to rebound offensively all year. He looks like he will continue to decline heading into next year, and this is not good for the Dallas Stars, as Spezza is the team’s second-highest player. It will be interesting to see what the Stars plan to do with Spezza and his $7,500,000 cap-hit. Do they give him a chance to bounce back or will they consider trading or buying him out this summer? Andrew Ladd has been a major disappointment for the New York Islanders this season. Ladd had a very quiet 2016/17, scoring only 31 points in 78 games and has further declined this year. Through 65 games, Ladd has only managed to put up 24 points and went on a 25-game scoreless streak, where he went almost three calendar months (from December to March) without a goal. The Islanders were not expecting this type of non-production from the veteran left-winger when they signed him to a massive $38,500,000 deal in the summer of summer of 2016. 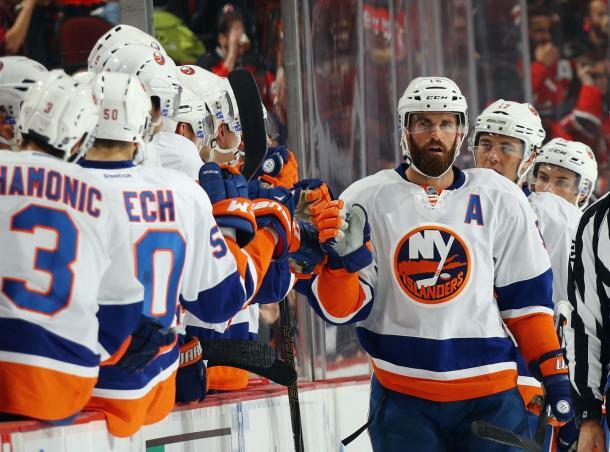 It looks like the 32-year-old will continue to regress and with five years left on his deal, Ladd’s lack of production looks to be a growing problem for the New York Islanders in the next several years. What do you think of this list of players that have struggled in 2017/18? Who has the most potential to bounce back? Let us know in the comments section below.